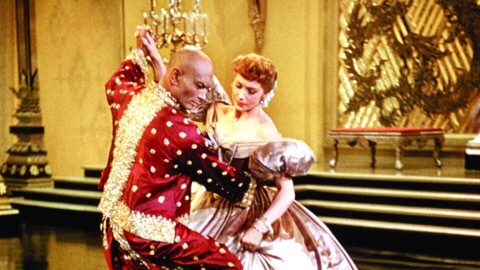 The King and I is a 1956 American musical film based on the Richard Rodgers and Oscar Hammerstein II musical The King and I, based in turn on the novel Anna and the King of Siam by Margaret Landon. That novel in turn was based on memoirs written by Anna Leonowens, who became school teacher to the children of King Mongkut of Siam in the early 1860s. I’ve really liked all my movie choices so far other than The Last Temptation Of Christ (which was a bit of a snoozefest). So I have to say this Blind Spot thing is something I really do enjoy & the one thing I’d like to continue while I don’t really have time for much else on this blog at the moment. There are still quite a few classic musicals that I’ve never seen so I’ll probably try to do one each year as a Blind Spot choice (next year’s will probably be Fiddler On The Roof). I do love a few of them but, overall, musicals aren’t exactly a favorite genre of mine. 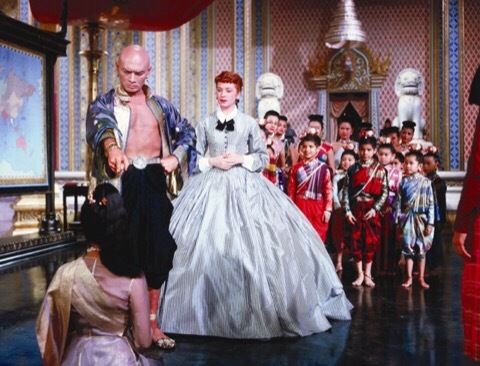 I’ve now updated My Top Ten Movie Musicals post and The King & I just makes it in at number ten. It’s certainly not up there with the likes of The Sound Of Music or The Wizard Of Oz but it’s a lovely film definitely worth watching and one that I’m happy to have shared with my eight-year-old. I’m also happy to say that it met with her approval as well! She especially liked all the kids that are in the film and still often quotes Yul Brynner’s “Et cetera, et cetera, et cetera!”, which I find adorable. I’m loving sharing classic films with my kid & often feel like we don’t get enough of these types of movies nowadays. What are future generations going to share with their kids when it comes to movies? Baywatch??? I know this is one of quite a few films for which Marni Nixon provided the singing voice. I’ll never quite understand when they have a different person provide the singing voice. Surely you can find someone who can act and sing??? 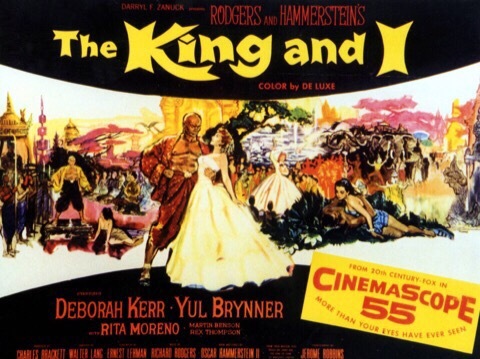 Anyway – Kerr was good in this (and I didn’t find her lip syncing obvious) but it was Brynner’s King who really made the film for me. Well, okay – it’s the two characters together which really makes the film work because of their completely different lifestyles & values. Who doesn’t enjoy the whole “opposites attract” thing?? That’s why it’s used so often in stories! But Brynner was especially fun to watch in this and I’d have to say I enjoyed the film more than I expected to after it got off to a fairly slow start. 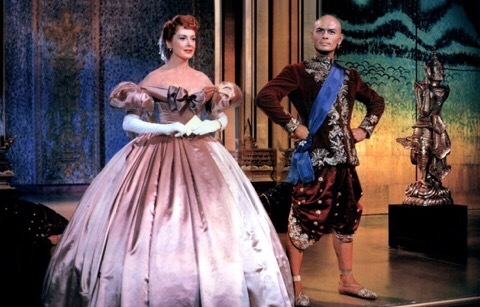 I think The King & I has probably not aged quite as well as some films due to feeling out of date and due to, in my opinion, not having as many memorable songs as a lot of other famous musicals. The only one I already knew beforehand was Getting To Know You (which I’ve shared at the end of this post). I expected there to be more “Hey, I know this song” moments as I watched this. It’s not a huge complaint, though. I really enjoyed this movie & would happily watch it again. I liked the story, the characters, the costumes, the song & dance numbers, and the fact that The King & I just feels like an all-time classic musical in a way that La La Land just doesn’t feel like something that will be held in quite such high regard 60 years from now. I watched this as a child on Saturday afternoon movies on the t.v. What I remember most about it is that it made me so sad that I was very upset about it and never wanted to watch it as an adult. I did the same thing with my June Blindspot, just tuck it in at the start of July and no one will mind. 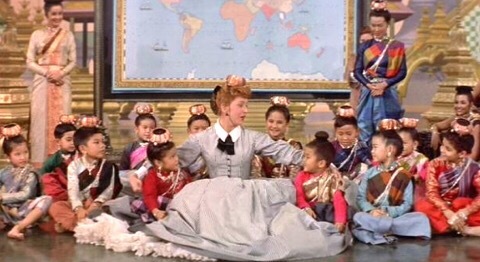 It’s been a long time since I first saw The King and I, but I recall enjoying this as a kid. I’ll have to rewatch at some point. Gotta disagree about La La Land; I thought it did capture some of that classic movie magic that will stand out over most of its contemporaries. There’s still no matching the Rodgers and Hammerstein hits, though. I used to really like this movie as a kid. I’m definitely going to do just that. Timeless movies never lose their lustre.